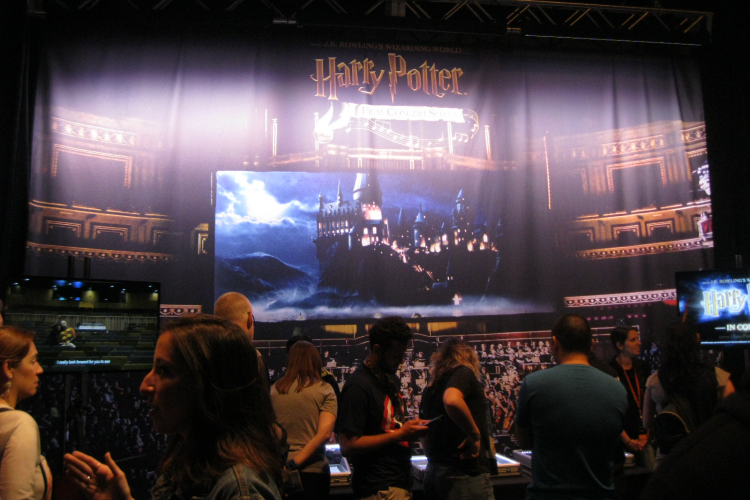 Harry Potter In Concert (picture above) is bringing the magic of the series's soundtracks around the country, screening the films with a live orchestra to recreate the scores from your favorite movie moments. Fans were given a taste of what that was like during the celebration's opening ceremony. Hogwarts: Mystery is the first mobile game for fans to roleplay as Hogwarts students. 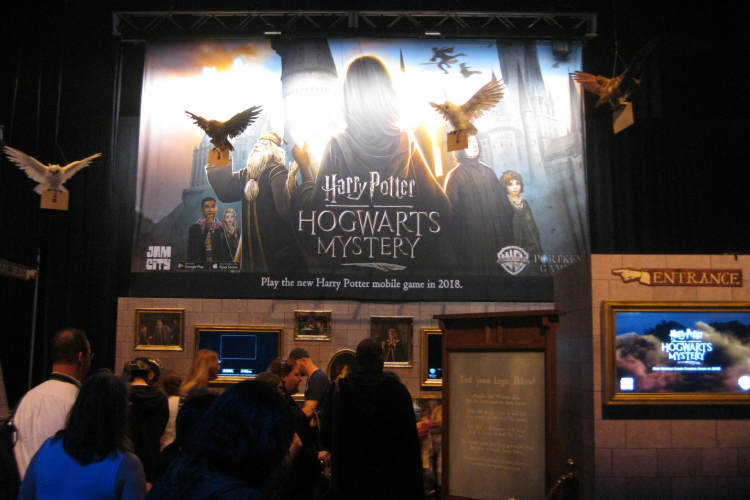 Given a mystery to solve at the beloved Hogwarts, players can act cast spells, learn potions, and make friends just like Harry Potter throughout his time at Hogwarts. 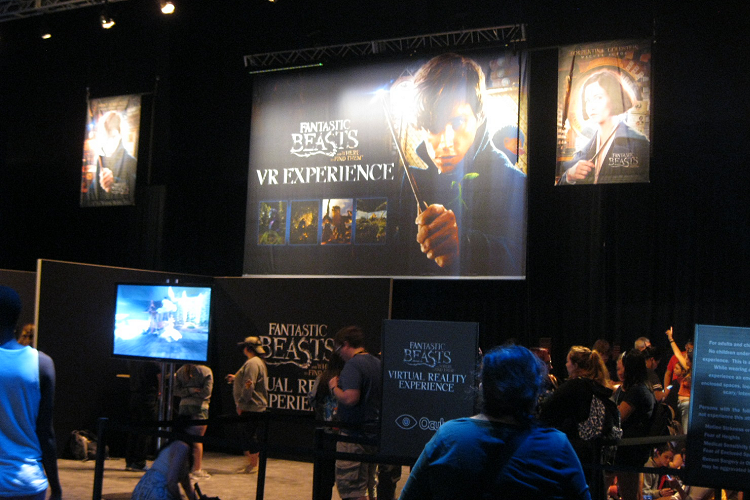 If fans wanted to step inside Newt's suitcase to discover fantastic beasts in his magical animal world, the Fantastic Beasts VR experience gave a firsthand experience. Fans were able to interact with their favorite creatures like nifflers and bowtruckles, exploring different areas of the landscapes he created to house his companions. 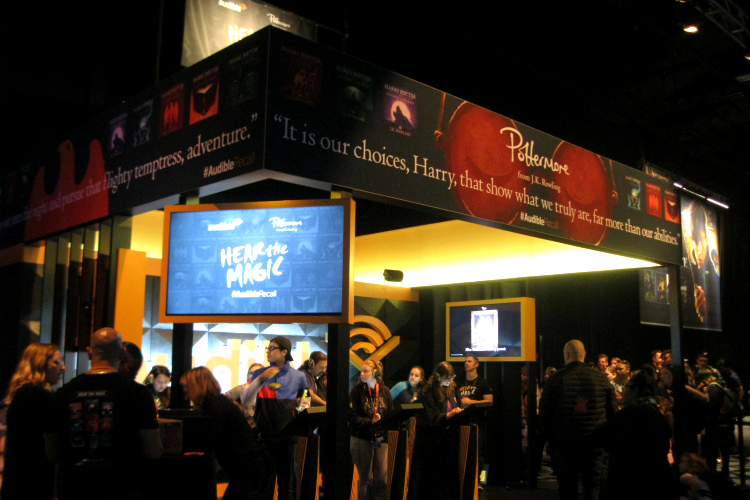 Pottermore and Audible was one of my favorite interactive experiences. 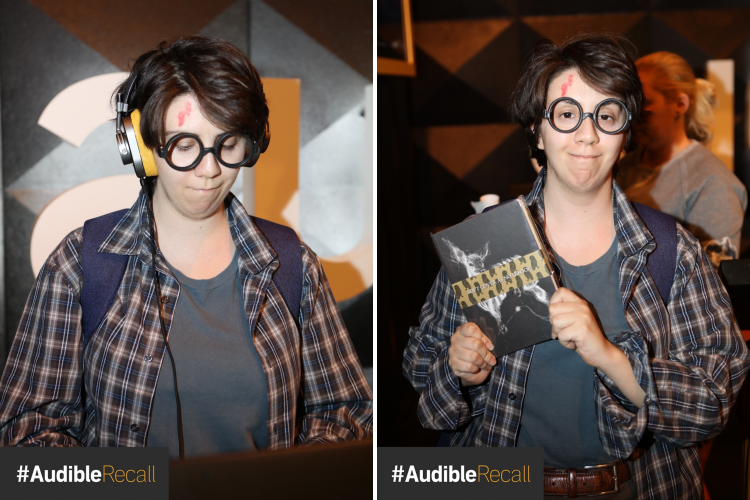 Listening to sound bytes of the Harry Potter audio books, fans were challenged to guess which book the audio came from. 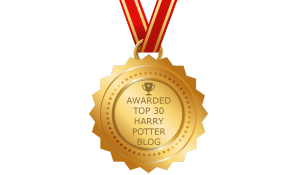 Every fan who participated won a puzzle box with the audio book covers, and the fan at the top of the leaderboard won a Pottermore journal from their shop. 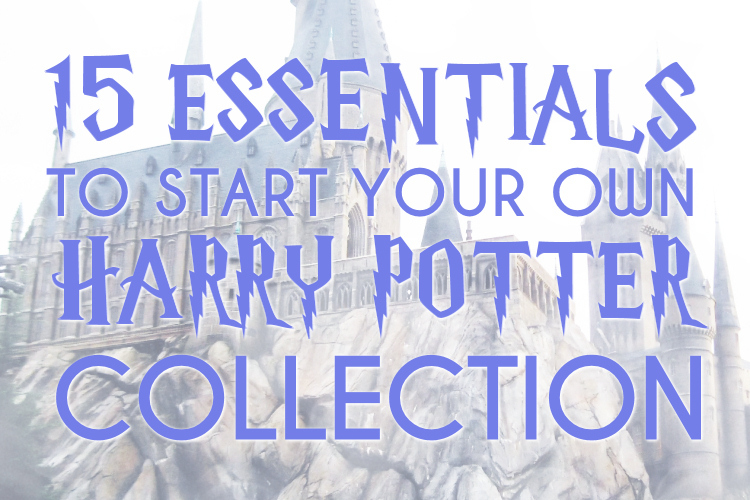 Having to start listening to the Harry Potter audio books from Audible earlier this year, it was fun to challenge myself with what I could remember. Dressed as Harry Potter from Sorcerer's Stone for the day, it was fun to walk away with one of the journals. Harry Potter knows his stuff, if I do say so myself! 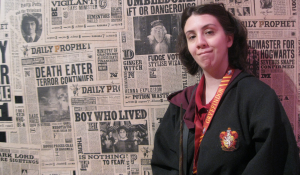 Pottermore also offered a moving portrait opportunity, where fans could choose from three different artistic backgrounds from their website and act out at a magical motion with different props. Here's my moving portrait above! 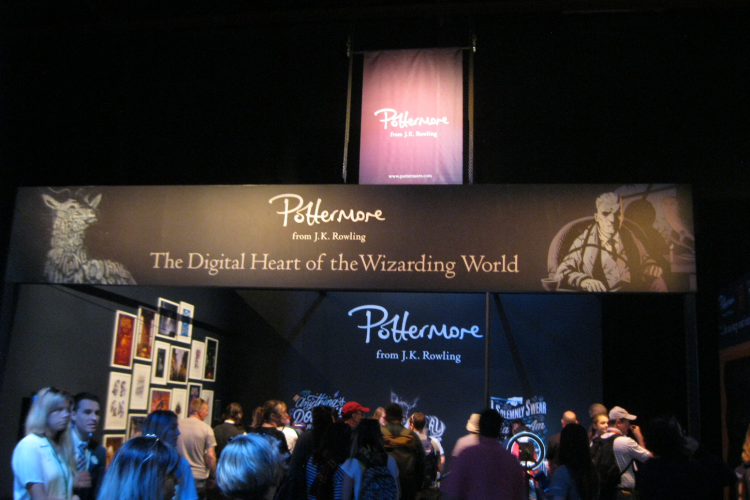 It was nice to see the digital heart of the wizarding world in person, as well as all the exciting partners of J.K. Rowling's wizarding world bringing the best entertainment for fans.